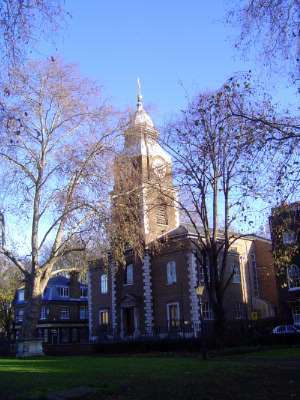 Here's the church in question, St. John, built in 1756. Only a shell survived the war, but the London County Council paid for restoration in 1964. Thirty years later, the building was converted to flats.